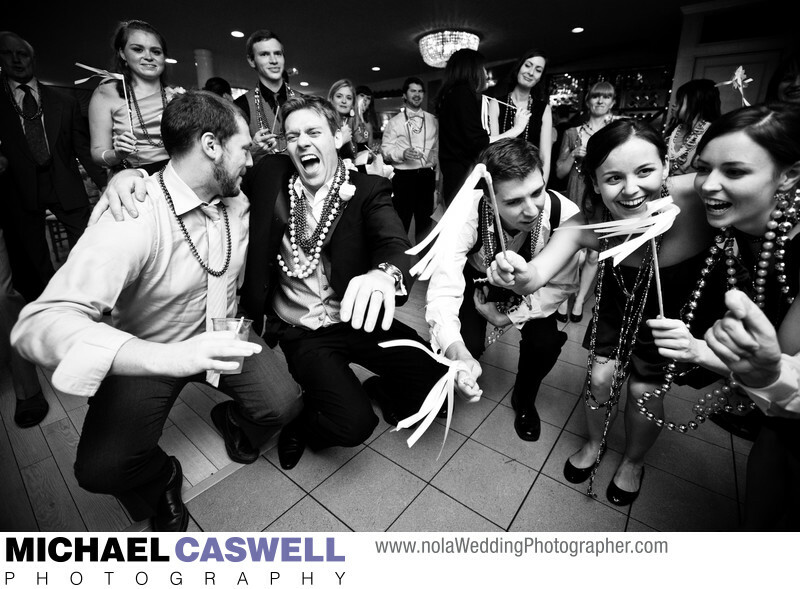 In this black and white photograph of a wedding reception at Southern Oaks Plantation in New Orleans, this groom and his friends are having a great time on the dance floor! 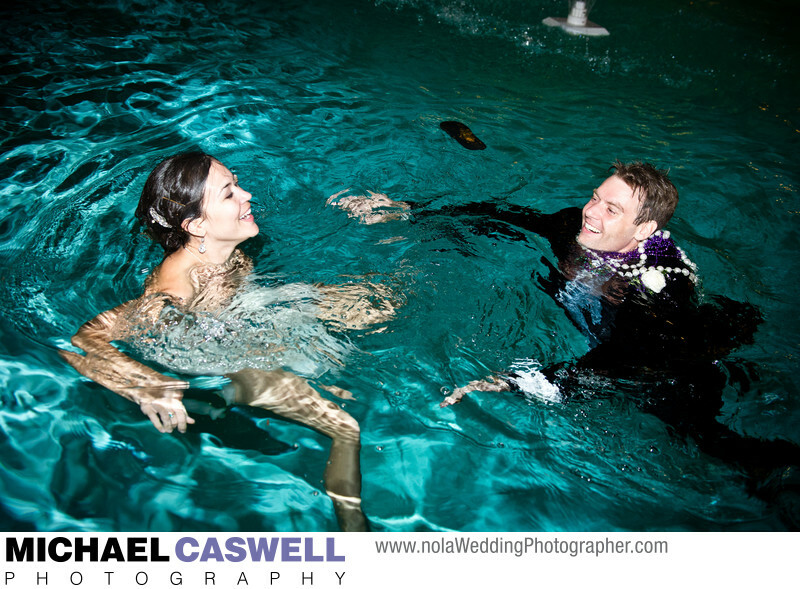 This was probably the wildest event I've photographed at this venue. At the end of the night when the reception had wrapped up, I said my goodbyes to the couple, packed up my gear, and headed to my car in the back parking lot. As I was placing my equipment in the trunk I heard a bit of a ruckus coming from the rear area of the venue, and, suspecting what was about to happen, I quickly grabbed a camera out of my bag and made a run for it even though I was already officially finished with my wedding day coverage and was "off the clock". Turns out my hunch was correct... 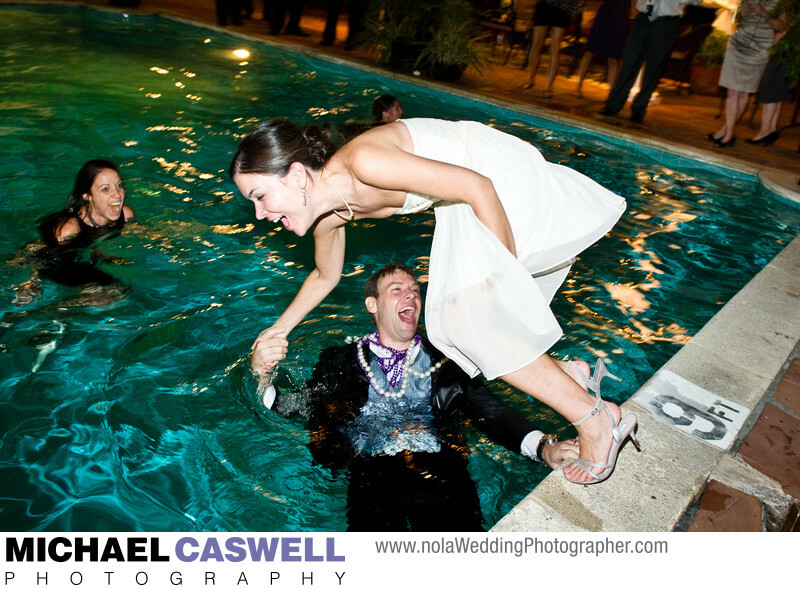 I arrived at the pool moments later to find the groom and a few of his friends in the water, just in time to capture a memorable photograph of him pulling his lovely bride in with him!